Boston’s Future Buildings: How Do We Get to Net Zero? Experts (including ZED's Stephanie Horowitz) examine the financial, political, legal, and technical challenges of how we make net-zero carbon construction happen in Boston. 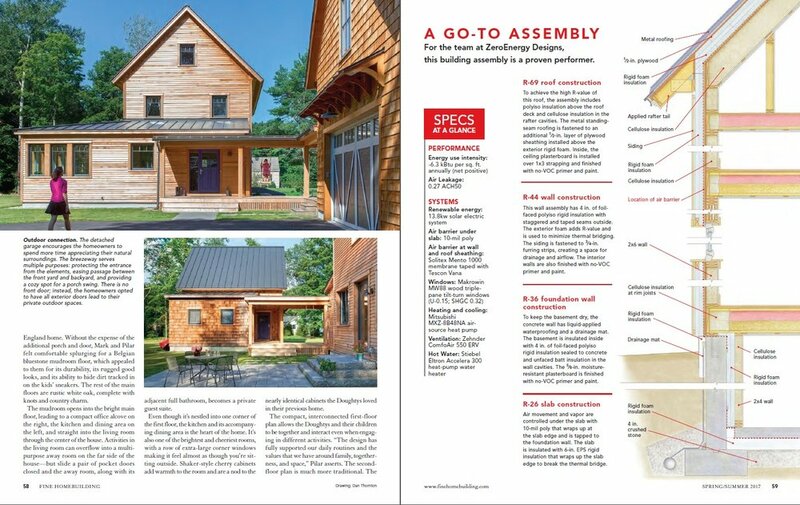 ZED & Thoughtforms Won 2017 Best Energy-Smart Home award from Fine Homebuilding! 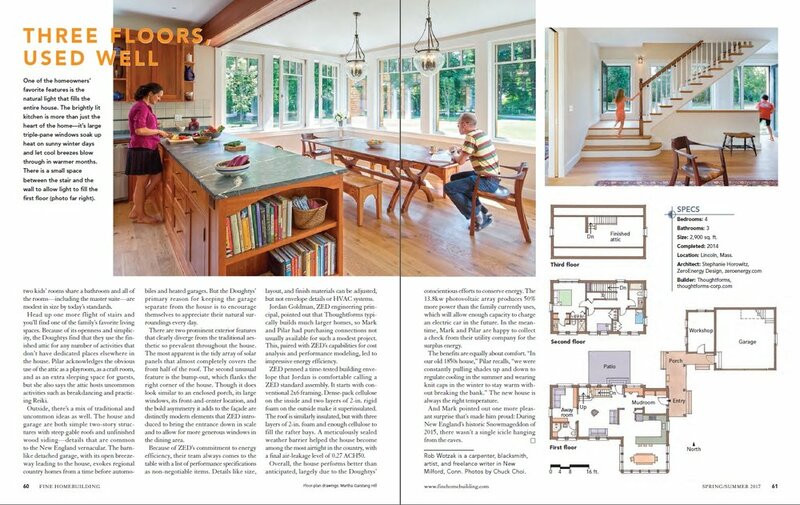 Great article in 2017 FineHomebuilding HOUSES issue covers the project's design and net positive energy performance. Congratulations to Thoughtforms for the LEED Platinum certification just formalized on the Lincoln Net Positive Farmhouse! Great job, great performance, and great project! Tour opportunity coming this spring.